What Does Successful Couples Therapy Look Like? » What Does Successful Couples Therapy Look Like? Successful couples therapy is not about fixing problems, although that is how it is most commonly understood. Science-based couples therapy helps you and your spouse prevent problematic patterns from getting a toehold in your marriage in the first place. But sadly, few couples try to get in front of their problems by entering couples therapy when they get the first hint of difficulty. The average American couple struggles over 6 years before looking into couples therapy. That’s a shame because science-based couples therapy is 70-90% effective. And the earlier you go, the faster you will get back on track. Most couples don’t realize that scientific couples therapy isn’t a form of battlefield triage. It promotes an ongoing “wellness” model. You don’t have to prevent divorce if divorce isn’t on the table, to begin with. We don’t think about MD’s as “death preventers.” You would not wait until you were in agonizing pain or near death to see a medical doctor, but we seem to believe that couples therapy is an option only when we’ve reached a crisis of intolerable emotional pain or a breaking point. Successful Couples Therapy is Not Just Remedial, it’s Educational Too. The better you know your partner’s their aspirations, passions, and frustrations, the more likely you are to enjoy an intimate connection. Skilled couples therapists will help you and your partner reconnect with the small, daily tasks of marriage. Gottman says the key to a more positive emotional connection is to do “little things” often. Couples therapy not only grapples with the big issues, it takes care to unpack the small ones as well. Conflict with your spouse is invariably baked in the cake. Even conflict-avoidant couples who proudly proclaim that they “never fight” miss the notion that avoiding conflict is just as unproductive and damaging as having too much conflict. Successful couples therapy helps you and your partner acquire the tools to engage with respect, fondness, and admiration while managing conflicting points of view. Expect differences to arise. Conflict is healthy when it’s done right. Unfortunately for many of us, our family of origin did not provide us with a healthy example of how to manage conflict productively. Couples therapy is a great place to acquire the skill of managing conflict. And the sooner you both learn this skill, the happier and more connected you will be. Science-based couples therapy is the best place to learn. Many couples tell me that before working with Couples Therapy Inc., they previously endured a terrible experience in couples therapy. Word gets around. Horror stories render couples gun-shy to jump into couples therapy. While “All-Purpose” Therapists are legally permitted to do couples therapy, almost 90% of them have absolutely no evidence-based training of any kind. This is a huge controversy in the field. Many respected thinkers such as Dr. Bill Doherty have described the prevalence of untrained couples therapist as a mental health crisis. Dr. Doherty and others are advocating the idea that before a therapist can offer couples therapy in their practice, they must have a certification that confirms that they have been sufficiently trained. A dirty little secret in the therapy field is that couples therapy may be the hardest form of therapy, and most therapists are not good at it. Of course, this would not be a public health problem if most therapists stayed away from couples work, but they don’t. Surveys indicate that about 80 percent of therapists in private practice do couples therapy. Where they got their training is a mystery, because most therapists practicing today never took a single course in couples therapy and did their internships without supervision from someone who had mastered the art. In other words, from a consumer point of view, coming in for couples therapy is like having your broken leg set by a doctor who skipped orthopedics in medical school. What is my evidence for these assertions? Most therapists today trained as psychologists, social workers, professional counselors, or psychiatrists. None of these professions requires a single course in marital therapy. At best, some programs offer at best an elective in “family therapy,” which usually focuses on parent-child work. 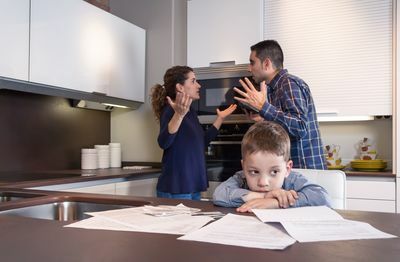 Only the professional specialty of marriage and family therapy, which constitutes about 12 percent of psychotherapy practitioners in the U.S., requires coursework in couples therapy, but even there you can get a license after working only with parents and kids. And that is why there is so much lousy couples therapy. If you are looking for help with your marriage, ask any therapist you are considering if they specialize in working with couples, and what level of certification they have achieved in either Emotionally-Focused Couples Therapy or the Gottman Method. What does successful couples therapy look like? It starts with a carefully trained couples therapist. The research overwhelmingly tells us that scientifically trained therapists whose employ the Gottman Method and/or Emotionally-Focused Couples Therapy elicit the best outcomes with their clients. Successful couples therapy starts with carefully choosing a qualified couples therapist, not an “all-purpose” generalist. Is Your Marriage Ready For Success? Call us for more information 844-926-8753. To reach our Intake Coordinators, Daniel or Nicole, use option 2.